Gazing at the map south of Chapel Hill, Aiken, South Carolina seemed as good a place as any for a one night bike trip. I knew nothing about it, other than one of our vendors from work, the multinational UPS, had chosen this place to centralize their customs brokerage operation. Since this is a service traditionally done at large port cities, I assumed that they chose this place because they could hire all sorts of low wage clerical workers. A pink collar ghetto. I google mapped Aiken, and saw two hotels downtown, plus lots of inviting restaurants restaurants within walking distance. 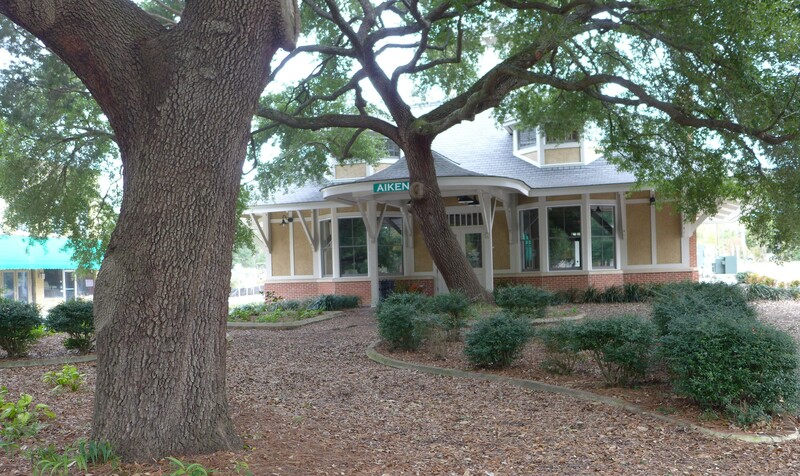 Aiken turned out to be a nice place; it has been a wintering spot for many years. It has Southern charm. Really. Just don’t talk politics. 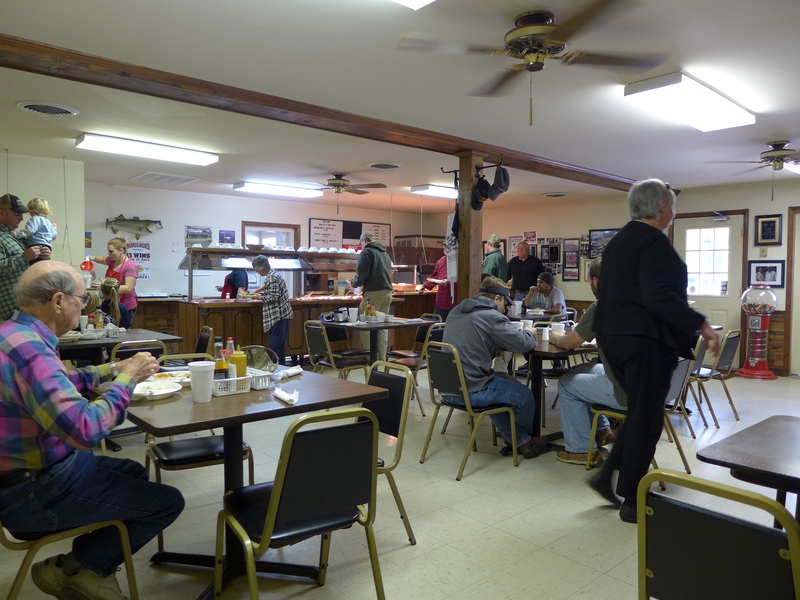 I drove south from Carrboro early, and left the car at a Methodist church parking lot in Leesville, South Carolina, about forty or fifty miles away from Aiken. I had wanted do some bike riding before stopping to eat, but I could not resist the sign I saw immediately: Jackie Hite’s Bar-B-Q in Leesville. Some say that Southern cooking is America’s only true homegrown cuisine. If French cooking is finding creative ways to stuff butter and fat into everything, this place takes a similiar tack. Among the best things in the buffet: green beans, cooked cabbage, fried chicken, fried pork cracklings, and pork barbecue with South Carolina mustard sauce. All were gloriously fatty, but prepared with subtlety and care. The only eating option is the $ 8.99 all you can eat. Because the restaurant is so small and busy, food at the buffet gets replenished frequently, and in small quantities. This may be one factor in why it is so cutting edge delicious. I have said before that because of the state DOT ,South Carolina towns physically retain more charm than North Carolina towns. 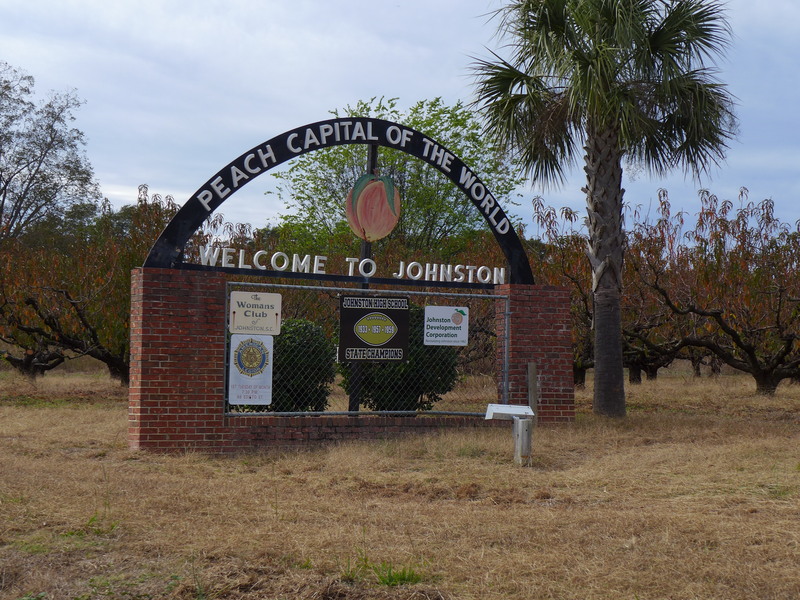 Neither Leesville nor Johnston, which are twenty miles apart, has service by a four lane road. But both are towns of substance. In North Carolina, the state DOT would have ploughed a four lane road through the middle of both towns, plus probably built a bypass as well. On the way from Johnston to Aiken, pretty much in the middle of nowhere, I passed a huge gathering in a field. It looked like twenty somethings, dressed in medieval costumes. They were hitting each other, it sounded like. Later, my twenty something staff told me that this was larping, or live action role playing games. They surmised that these events are held in the middle of nowhere because the participants are ashamed to be seen in public doing this. It looked like a good time was being had by all. Arriving Aiken just as it was about to turn dark, I found a low cost room at the Hotel Aiken. The hotel has a big bar scene, but I skipped it to go to Casa Bella Italian Restaurant. It features old school Italian-American food, with very good Eggplant Parmesan. Sinatra and Dean Martin play in the background. It is clearly the fanciest, or near fanciest place in town. I ate at the bar with a long line of other fifty and sixty year old white guys in oxford button down shirts. One big group had just come from a golf outing. I met some interesting and friendly people. The next day I rode back out of town, taking pictures as I went. 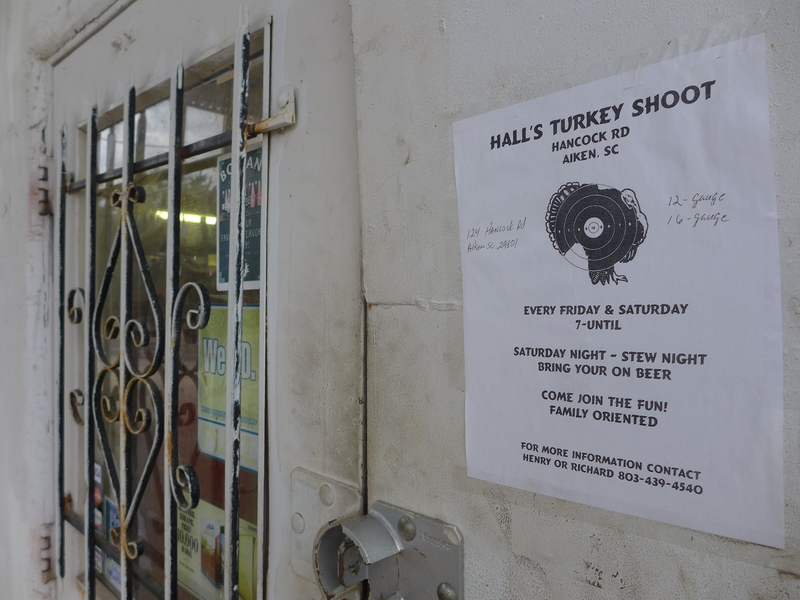 I love the Turkey Shoot sign. Bring beer, kill something, and it is still family oriented. Wow, Americans are amazing to bring all three of those things together. Sounds like a great trip. Love the pictures as usual.